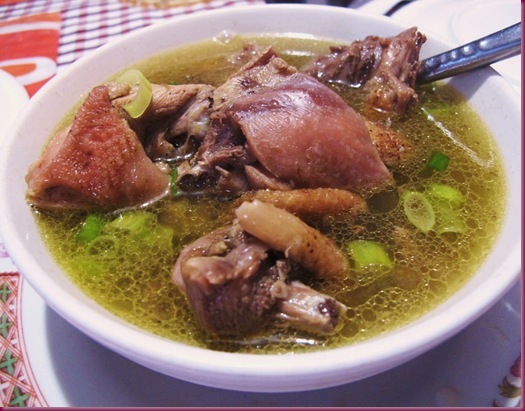 Pinikpikan is a dish very much popular in the Northern part of the Philippines. In the Cordillera Region to be exact. Cordillera is the region where the Igorot's thrive. In the olden time's pinikpikan is served in special occasion such as weddings or rituals for the god's. Until today, pinikpikan is still considered as one of the most important dish to be served during special occasions or when a relative coming from different country or province. What makes pinikpikan a unique food? The preparation for pinikpikan is really simple. However, it is how you prepare the chicken that makes it really unique. What you should know about the chicken? Igorot's preferred the barn chicken and not the broiler. The barn chicken used should be an organic chicken as this kind of chicken provides a different aroma and taste. Personally, it is more tasteful compared to the commercialized chicken. However, in the absence of barn chicken, the commercialized chicken can still be used. Take a note though that the chicken should be alive and not the ready to be cooked chicken. 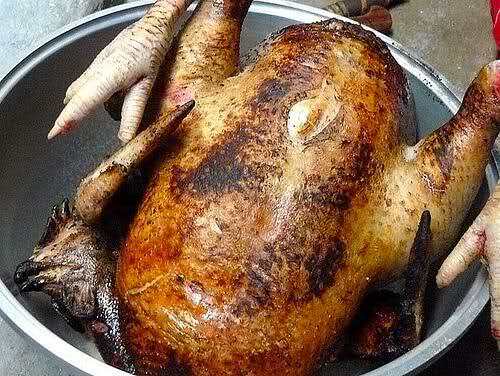 The chicken is prepared by beating the chicken (should be upside down) on the neck until the chicken is killed. The reason for beating the chicken on the neck is for the blood to clot and it is believed that in this way the chicken is more tasteful. Once the chicken is dead. Start burning its feather starting on its body. Once the chicken's feather is all burned then you can start cleaning the chicken and butchering it. When the chicken is chopped to your desired size you can now start cooking it. Put your cooking pan into heat. Followed by the chicken. Mix it properly, add etag then cover your cooking pan until the natural water stored when washing the chicken comes out including its natural oil. Add water for soup. Make it boil until the chicken is cooked and the etag. Add chayote and then cover it until it is over cooked. Add pechay. Cover it and then turnoff the fire. Hmmm delicious! I suddenly miss my hometown.